Vernon Odis King, 82, of Arkansas City, Arkansas passed away Sunday, October 28, 2018 at Lincoln Heights Health Care in Star City, AR. Vernon was born February 4, 1936 in Fennyville, AR to the late Tom and Gladys King. He was a longtime employee of Growers Gin and the City of McGehee Maintenance Department. Vernon was a 32nd Degree Mason and a member of Lodge 643 F&AM. He was also a Shriner and a member of the Scottish Rites. He loved to hunt and fish. 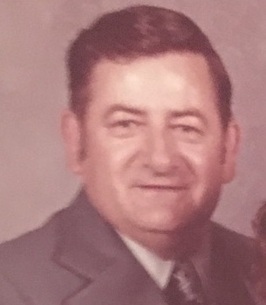 Vernon was a member of South McGehee Baptist Church. Other than his parents, he was preceded in death by his brother Danny King and his sister, Dorothy Carr. Survivors include his wife of 40 years, Mary Jeanette King of Arkansas City, AR; step-daughter, Suzette Stahl of Arkansas City, AR; brothers, Charlie King of McGehee, AR, Henry King of McGehee, AR and Frankie King of Redfield, AR; sisters, Stella Thomas of McGehee, AR and Patricia Ballinger of Lonsdale, AR. Graveside services will be held at 10:00 am Wednesday, October 31, 2018 at McGehee Cemetery in McGehee, AR. To send flowers to the family of Vernon Odis King, please visit our Heartfelt Sympathies Store.